RBC Capital analyst Daniel Perlin reiterated a Buy rating on Worldpay Inc (NYSE: WP) yesterday and set a price target of $103. 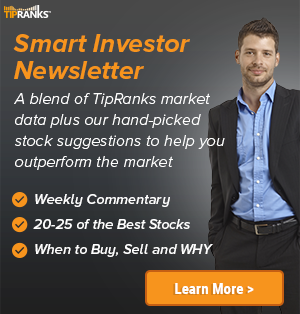 The company’s shares closed yesterday at $90.60, close to its 52-week high of $90.80. 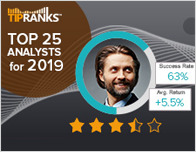 According to TipRanks.com, Perlin is a top 100 analyst with an average return of 27.2% and a 84.6% success rate. 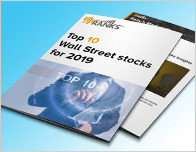 Perlin covers the Technology sector, focusing on stocks such as SS&C Technologies Holdings, DXC Technology Company, and Total System Services. Worldpay Inc has an analyst consensus of Strong Buy, with a price target consensus of $94, implying a 3.8% upside from current levels. 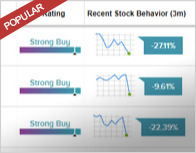 In a report released yesterday, Cantor Fitzgerald also maintained a Buy rating on the stock with a $92 price target. Based on Worldpay Inc’s latest earnings release for the quarter ending March 31, the company reported a quarterly GAAP net loss of $97.6 million. In comparison, last year the company had a net profit of $68.78 million. Worldpay, Inc. engages in payments processing technology and solutions. Its products include card machines, integrated point-of-sale, virtual terminal, card payments, mobile wallets, accounting integration, ATM services, Treasury services, PCI compliance, EMV and other. The company was founded on January 2018 and is headquartered in Symmes Township, OH.